• Extends the maximum period for receiving the subsidy by six months (from 9 months to 15 months). Those who had reached the end of the reduced premium period before the extension will have additional time to pay for certain subsequent coverage periods at the reduced 35% rate. For coverage periods that began prior to enactment of the Act, these individuals will need to pay 35 % of applicable premium costs by the later of February 17, 2010 (60 days after date of enactment, December 19, 2009) or 30 days after notice of the extension is provided by their plan administrator. Employer Notice Requirement: Employers must provide an additional notice concerning the subsidy extension. The notice is required for individuals who, on or after October 31, 2009, either: 1) are “assistance eligible individuals” or experience a qualifying event (i.e. termination of employment) relating to COBRA continuation coverage. The notice must be sent within 60 days of enactment (no later than February 17, 2010), unless a qualifying event occurs after December 19, 2009. The notice must include information regarding the Act and must be sent in accordance with the general timing rules under existing COBRA regulations (44 days from the date of the qualifying event). 9 month subsidy period. These persons will be able to reinstate their coverage by paying the subsidized premiums. Common Sense Counsel: All model COBRA notices and forms must be modified for use with your group health plan by inserting specific information and deleting inapplicable provisions. It is recommended that all notices be sent using the “proof of mailing” service available at the U.S. Post Office to avoid claims that you did not post in a timely manner. Penalties are $110 a day. The subsidy is an employer Federal Payroll Tax Credit on new IRS Form 941. On December 15, 2009, the United States Supreme Court agreed to hear a highly significant case related to the expectation of employee privacy in the workplace. Police officers with the Ontario, California Police Department sued after learning that their Chief had read text messages sent from their department issued cell phones. The records were provided by a third party vendor. There were hundreds of text messages to personnel contacts, including some sexually-explicit. The police officers won at the trial court and a deeply divided 9th Circuit Court of Appeals (the most overturned Court of Appeals in the U.S.) upheld the trial court decision finding that the officers had a "reasonable expectation of privacy" for their text messages. That finding was in part based upon evidence that a police official had informally told officers that no one would audit their text messages, if the officers personally paid for charges above a monthly allowance. The Department had a written policy stating in part as follows: "reserves the right to monitor and log all network activity including e-mail and Internet use, with or without notice." The Chief had previously condoned personal use of department-cell phones. Expect a ruling from the high court in Spring 2010. 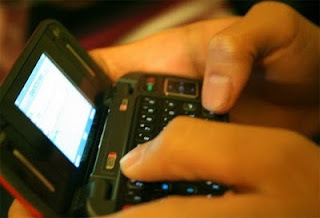 On a similar issue involving cell phones in a criminal setting, the Ohio Supreme Court, again in a sharply divided opinion, held that Police officers must obtain a search warrant before searching the contents of a suspect's cell phone unless the officer’s safety is in danger. The issue has never before been reached by another state high court or the U.S. Supreme Court. Antwaun Smith was arrested on drug charges after he answered a cell phone call from a snitch crack cocaine user. Officers took Smith's cell phone and, acting without a warrant or his consent, searched it. The police found a call history and stored numbers evidencing that Smith had made prior calls to the drug user. The Ohio Supreme Court overturned the 12year conviction on cocaine possession, cocaine trafficking, tampering with evidence, possession of criminal tools; holding that the evidence obtained through the cell phone search was inadmissible because it violated the constitutional ban on unreasonable search and seizure. Expect this one at the U.S. Supreme Court as well. Common Sense Counsel: As the use of computers, cell phones and text messages keeps expanding as a means of communication and commerce, electronic privacy rights of employees at work, or those charged with a crime, is front and center. For Alabama Employers it is absolutely critical that you have a written Electronic Communications policy covering cell phones, telephone systems, computers, internet use, voice mail, texting, video conferencing, pagers, PDA’s, faxes, websites visited and more. For employees it means always knowing that you can be watched, so don’t be naughty. For criminals - leave Lee County. Sometimes a bad hire decision can result in poor morale, an EEOC charge, a workplace injury, or in the case of former Howard Industries, Inc. HR Manager Jose Humberto Gonzalez, prison time. On December 9, 2009 Gonzalez pleaded guilty to one count of conspiracy to hire illegal immigrants in the United States Federal Courthouse in Hattiesburg, Miss. He was initially indicted on 24 counts of conspiracy and employee verification fraud in April 2009 following the August 25, 2008 U.S. Immigration and Customs Enforcement (ICE) raid at the Laurel, Miss. plant and Ellisville headquarters of Howard Industries, Inc. ICE reported it was the largest workplace raid of illegal immigrants in U.S. history with 595 arrested, nine were charged criminally with aggravated identity theft and pled guilty and many of the others left the United States. Gonzalez could receive up to five years in prison and be fined $250,000 when he returns to federal court in March 2010 for sentencing. The April 2009 Federal Court indictment charged Gonzalez with: 1) encouraging illegal aliens to reside in the United States; 2) attempting to conceal and harbor illegal aliens; 3) falsely attesting to the validity of employment-related documents; 4) routinely hiring illegal aliens and in the process of hiring such would accept false identity documents, including alien registration receipt cards and Social Security Cards; 5) after being notified by the Social Security Administration that the Social Security numbers of certain applicants were not found to be valid, Gonzalez would nonetheless hire and continue to employ such persons; 6) would instruct employees to obtain alternative identity documents which he knew falsely represented their true identities; 7) would assure Spanish-speaking foreign nationals working at the Laurel plant that they would be warned if immigration authorities were coming to the plant; 8) falsely certifying to the employment eligibility of job applicants and employees; and 9) falsely certifying, under penalty of perjury, on Form I-9 Employment Eligibility Verifications that he had examined the documents listed on the Form I-9 and determined them to be genuine and that, to the best of his knowledge, the applicant was eligible to work in the United States, whereas in fact he had been notified by the Social Security Administration that the Social Security numbers of such applicants were not found to be valid. Driving was an essential function of the job for an account sales manager for a Coca-Cola distributor in Utah. The only problem is that he suffered severe back pain and took several impairing effect prescription painkillers, including Lorcet, Oxycontin and Duagesic patches. A concerned co-worker reported that the account manager was overusing his pain medications. Coca-Cola had a workplace drug-and-alcohol testing policy with safety language that prohibited employees from driving company cars while under the influence of impairing effect drugs or medications. Coca-Cola ordered the account manager to submit to a workplace drug test which came back negative for illegal drugs but positive for Hydrocodone, a synthetic opiate. Coca-Cola’s medical review officer (MRO) found a significant safety risk and said the account manager should not drive a company vehicle while taking narcotic pain medication. Coca-Cola placed the account manager on leave and told him he must refrain from using impairing effect pain medications before he could return to his account manager job. The account manager attempted to get a doctor’s note saying he was cleared to drive safely while still taking the impairing effect medications. He never got the clearance letter. Coca-Cola stood firm with its position on the safety issue. However, it did offer him other jobs that did not involve driving. He rejected those offers and quit. Common Sense Counsel: First, under the ADA for an Alabama employer to prevail it must document that it has engaged in the ADA interactive process - “do the dance.” Coca-Cola presented evidence that it engaged with the employee in an ongoing dialogue on four separate occasions attempting a resolution. Second, it had a written drug and alcohol testing policy with safety language about impairing effect medications which the court cited as a legitimate reason why the account manager could not drive company cars. Third, Coca-Cola had a well drafted job description. It would not have prevailed in this case unless it could show that driving safely was an essential job function. Now it is time to examine your policies, forms and practices to see if you can properly do the ADA 3 step.